'Speaking The Unspeakable' To The New Poet Laureate English professor Natasha Trethewey has been named the 19th U.S. poet laureate. Poetry, she says, is something people can turn to for celebrating joys and mourning losses. English professor Natasha Trethewey was named the 19th U.S. poet laureate last week. 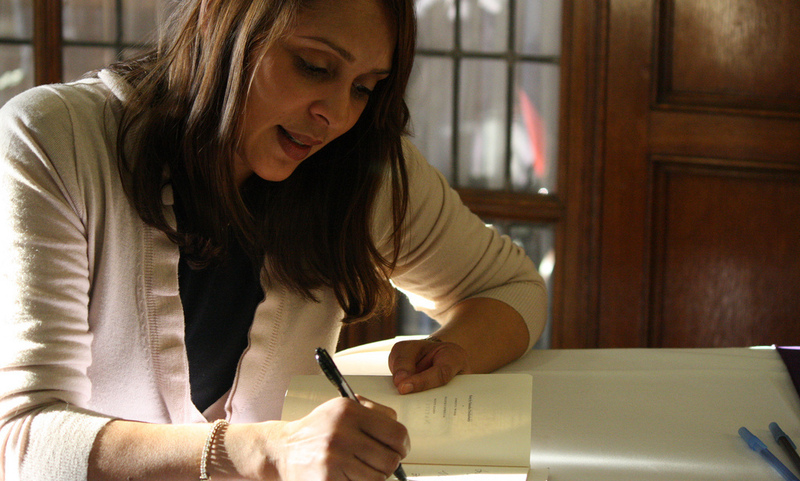 Natasha Trethewey is the newly announced, 19th U.S. poet laureate. The position is described by the Library of Congress as "the nation's official lightning rod for the poetic impulse of Americans." Trethewey tells Weekend Edition Sunday host Rachel Martin that it's a lot of responsibility. "Just trying to be the biggest promoter of poetry; someone who's really got to do the work of bringing poetry to the widest audience possible," she says. Poetry, she says, is one of those things people turn to when they need a way to "speak the unspeakable." "That's because poetry not only can celebrate our joys with us, but it can also mourn with us our losses," she says. A professor of English and creative writing at Emory University in Atlanta, Trethewey is the first Southerner appointed to the post since the very first poet laureate, Robert Penn Warren in 1986. Trethewey won the Pulitzer Prize in 2007 for her collection Native Guard, a book about the Louisiana Native Guard, a black Union regiment assigned to guard Confederate soldiers held on Ship Island off Mississippi's Gulf Coast during the Civil War. Click on the audio links on this page to listen to Natasha Trethewey read the two poems below. not to let go. You'll be dead again tomorrow. It's as if you slipped through some rift, a hollow. "Elegy" from THRALL: Poems by Natasha Trethewey. Copyright © 2012 by Natasha Trethewey. Used by permission of Houghton Mifflin Harcourt Publishing Company. All rights reserved. "Myth" from NATIVE GUARD: Poems by Natasha Trethewey. Copyright © 2006 by Natasha Trethewey. Used by permission of Houghton Mifflin Harcourt Publishing Company. All rights reserved.